RealFlight Drone Flight Simulator « Big Squid RC – RC Car and Truck News, Reviews, Videos, and More! 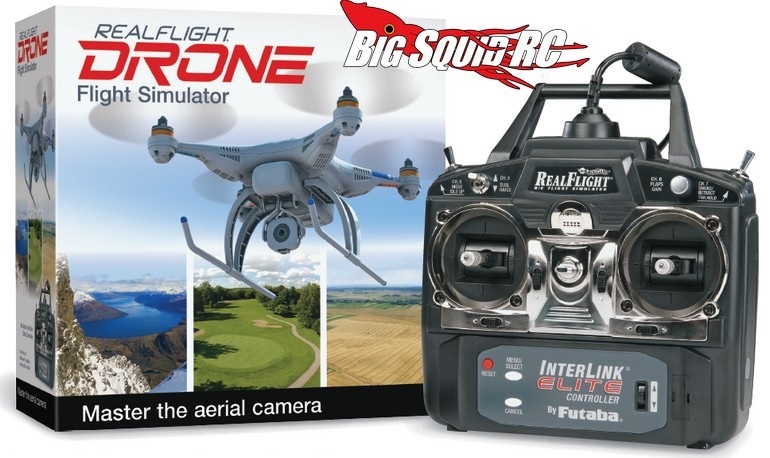 The RealFlight Drone Simulator with InterLink (#GPMZ4800) is priced at just $129 while the upgrade to RF7.5 Software (#GPMZ4508) is priced at $49. For complete details Click Right Here to head over to the official RealFlight website. Click Here to view other simulators right here on Big Squid.